Expedia’s acquisition of HomeAway is a game changer for the vacation rental industry. Here’s what vacation rental home owners need to know. Since Expedia completed its $3.9 billion acquisition of HomeAway, it has been working to fully integrate HomeAway’s vacation rental inventory into its own platforms. So what do these changes mean for vacation rental home owners? Online Travel Agencies (OTAs) like HomeAway have been steadily increasing their market share and shaking up the industry with changes that are good for their own bottom line, but not necessarily for the bottom line of the vacation rental home owners who provide the inventory. The latest developments are no different. 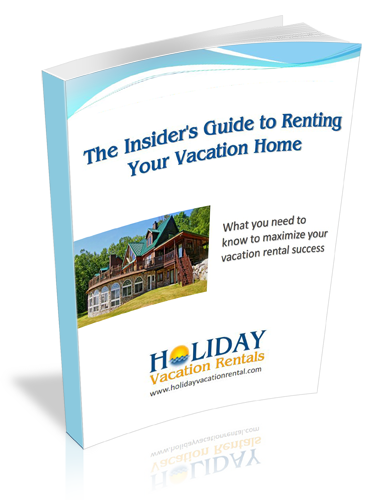 Understanding how the continuously evolving vacation rental industry affects your business is critical for success. One development that caused a stir last year was HomeAway’s decision to charge fees to renters booking on their site. Prior to this, homeowners paid a listing fee and the service was free to renters, who could contact the owners directly. The addition of a booking fee shifted HomeAway’s business model closer to that of its chief competitor, Airbnb, which doesn’t charge homeowners for listings but completely controls the booking process. The result has been that HomeAway has seen an increase in profits from transaction fees, but at a cost to the homeowners providing its inventory. There is essentially a battle taking place over who “owns” the customer. As we’ve previously written, the OTAs are moving to eliminate communication between guests and owners (or property managers) and controlling the transaction and customer relationship. Essentially, their business model relegates owners to the role of inventory providers and professional rental managers to the role of caretakers. This undermines the value of the guest-owner or guest-manager relationship, which harms the bottom line of owners and managers for the OTAs’ benefit. Given this dynamic, it isn’t surprising that a recent survey conducted by Rentivo found that owners and managers largely view the OTAs as a “necessary evil”, and one of their chief complaints was how they were being forced out of the customer relationship. Khosrowashahi has expressed satisfaction with how the integration process has been going. 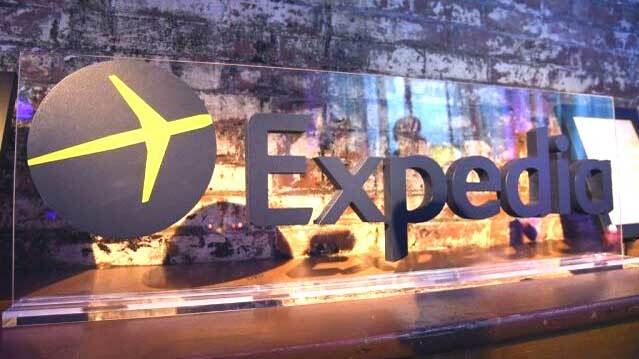 Expedia has implemented the traveler service fee across all major markets and will push for increasing online bookings. What this means for owners and property managers is that they will be cut out of the customer relationship. This also raises other issues, such as who will be the merchant of record. If the owner or property manager is not the merchant of record, then they are at risk for credit card chargebacks and lose the ability to collect additional charges that may occur such as extra cleaning or damages. Presumably, the idea would be to increase or reduce rates to its benefit, or sell this data to managers, and while such information would be useful for yield management and rate adjustments that accord with trends in local demand, it could also result in an increased dependency on Expedia—which is presumably also part of the plan. While OTAs provide a useful service to travelers and are an important part of distribution strategy for vacation rental owners and property managers, owners and managers alike need to be cautious not to become overly reliant on them for bookings. Having a plan to remain competitive is critical. Fortunately, owners and managers have some advantages over the OTAs that can be leveraged to maintain competitiveness and independence of operation. The costs of OTA listing fees in addition to booking fees are ultimately passed off to the consumer in the form of higher rental rates, so there is an advantage for guests to book directly with owners or managers who offer a best-rate guarantee. 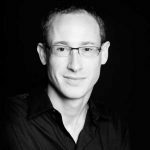 The trick is for your property to be found without having to rely entirely on the OTAs for distribution. This is one of the reasons why, now more than ever, the value of vacation rental home owners partnering with professional property managers is clear. While property managers face the same challenges with respect to the dominance of the OTAs as homeowners, they are better positioned to maintain independence and competitiveness in ways that benefit owners. Apart from making it much easier for owners to rent their vacation homes, benefits of partnering with a professional rental manager include the competitive advantage of the economy of scale and the manger’s brand. Owners can take advantage of a recognized company name, a web presence allowing their property to be found in search results, a social media presence that continually increases brand awareness, and high standards of cleanliness and service. While the dominant OTAs may have enormous investment capital to be able to dominate paid search, local property managers can still compete for organic traffic, and they have the advantage of being discoverable on the map in Google search results. And while Expedia’s integration of HomeAway’s inventory will place vacation rental homes alongside hotels in search results, the fact is that booking a rental home is not like booking a hotel. As we’ve previously noted, owners and property managers can capitalize on the fact that travelers want to be able to communicate with someone who actually knows the property. The uniqueness of each property, unlike hotel rooms, means that travelers frequently have questions only owners or local property managers can answer for them. Another major benefit to homeowners is that more guests would prefer to book through a professional vacation rental management company than directly with owners. The reasons for this include a greater sense of confidence about knowing what they are getting for their money. There is greater confidence that the property will be professionally cleaned and maintained, as well as less worry about the safety of the property or being scammed. Guests also take comfort in knowing that they can get in touch with someone immediately—24 hours a day, 7 days a week—if an issue arises, and they have greater confidence that any issues will be resolved quickly if renting through a professional management company. The trends in the industry are increasingly illustrating the importance of partnerships between vacation home owners and local vacation rental management companies. While the dominant distribution channels provide a valuable service both for guests and inventory providers, there is great risk in becoming overly dependent on them for bookings. Entering into mutually beneficial partnerships with local property managers is one of the keys for owners to remain competitive in the increasingly complex business of vacation rentals. Excellent article. A further trend we are seeing that supports this is that smaller less technically aligned 24/7 managers are finding it hard to function in a similar vein to owners. This is resulting in acquisitions and more cooperative relationships to compete for guests outside OTA control. “While property managers face the same challenges with respect to the dominance of the OTAs as homeowners, they are better positioned to maintain independence and competitiveness in ways that benefit owners.” I don’t see at all why they would be better positioned. They are doing exactly the same thing than owners and get essentially all their booking from OTA. I also disagree with “Another major benefit to homeowners is that more guests would prefer to book through a professional vacation rental management company than directly with owners. The reasons for this include a greater sense of confidence about knowing what they are getting for their money.” When a guest communicates with a property manager he gets usually a young professional whose knowledge of the property that interest the guest is a lot worst than the owner’s one. Owners have to get together and control their OTA as hotels are starting to do know, fighting booking.com. There is no need to have middle companies between guests and owners. I don’t see at all why they would be better positioned. They are doing exactly the same thing than owners and get essentially all their booking from OTA. Perhaps some vacation rental management companies rely almost entirely on OTAs for bookings, but Holiday Vacation Rentals does not, and this is the point that we are trying to drive home in the article: that it is unwise to be overly dependent upon them. This was not our opinion. It was the result of a survey. The link is provided to another post where we summarize the results. Here it is again. When a guest communicates with a property manager he gets usually a young professional whose knowledge of the property that interest the guest is a lot worst than the owner’s one. Certainly, the OTAs have no knowledge of the properties in question, but a professional local property management company like Holiday Vacation Rentals is intimately familiar with the rental properties. Pro VRMs also have professionally trained staff to handle customer relations. This is not to say that individual home owners could not handle their own customer relations, but property managers provide the service of taking the burden out of renting their vacation home. There is no need to have middle companies between guests and owners. Sometimes. This is an invalid generalization, however. Going it alone might be right for some people, but the rent-by-owner route isn’t right for everybody. VRMs provide a valuable service to homeowners who don’t want to manage every aspect of renting on their own, including but obviously not limited to customer relations. 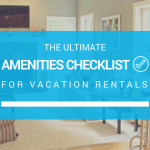 We’ve outlined some of the value a professional property management company can deliver to vacation rental home owners above. Jeremy, I am absolutely ready to believe that you are doing a great job in your company which I understand is managing holiday houses in Michigan. My experience however in cities like London or Brussels with property managers has just been terrible. It can suits cheap properties and owners who don’t care what happens to their properties. I think that unless owners control themselves the OTA they will be the losers of the game as it happens with hotels and Booking.com. More and more hotels are getting out of Booking.com, which by the way don’t erase their listing but add a line saying that there are no rooms available and offers instead competitors opportunities. I don’t know if owners will be able to federate and invest what they used to spend for platinum or gold rankings, that was enough to build the wealth of HA. Maurice, thanks for clarifying your differing situation on your continent. I can’t speak to that, of course, only to the situation here in the US. I think that properly managed OTA’s are in the exact role they should be. They are great at finding and presenting new customers to owners and managers at relatively very little cost. Properly handled, new customer transactions via OTA’s become repeat customers via direct channels. Thanks for your comment, Russ. We agree, as we wrote in the article, that the OTAs “provide a valuable service both for guests and inventory providers”. However, our point remains that there is a risk in becoming too dependent on them for bookings. OMG. Everyone wants a cut. 10-15% for the listing site, (as in para-site), 10+% to the rental manager, 10%+ taxes. In 2011, I charged around $200 pn and got the $200. (Less small amt to cover listing with VRBO and the like), I now charge $250 and if I was to use a rental manager would yield $175. The solution must be to educate the travellers to spend 1 more minute on google and go find the owner. Owners, this is up to us now. We wish entrepreneurial homeowners choosing to manage rentals on their own success and think it’s great that some homeowners are willing and able to commit the time and resources necessary. Our cautionary advice about not becoming overly dependent on the OTAs for bookings applies to owners and property managers alike. It seems unreasonable to expect either OTAs or professional vacation rental managers to provide their services without compensation. Naturally, companies that provide value to homeowners should receive a fee for their services. As for those homeowners who would prefer to have the work done for them, professional vacation rental management companies can provide a great deal of value. Of course, for these homeowners, we also advise shopping around to compare fees and services to find a rental manager who will provide the best value. We agree with your recommendation to travelers to do a search and book direct. Again, for those home owners who prefer taking advantage of the services of a professional manager rather than trying to manage everything themselves, this means booking through a professional management company, which, as we’ve noted, many renters prefer to do. There are many other considerations, as well. Professional rental management companies also have advantages in terms of an established website that’s SEO-optimized, helping the renter to find the property and able to book direct, to name one.